Is there ever such a thing as too many brownie recipes? I like to think the answer to that question is no. You see, I already have at least 10 different brownie recipes that I make on the regular and yet I still continue to play around with more.... and each time I probably think it's the best one ever for different reasons. 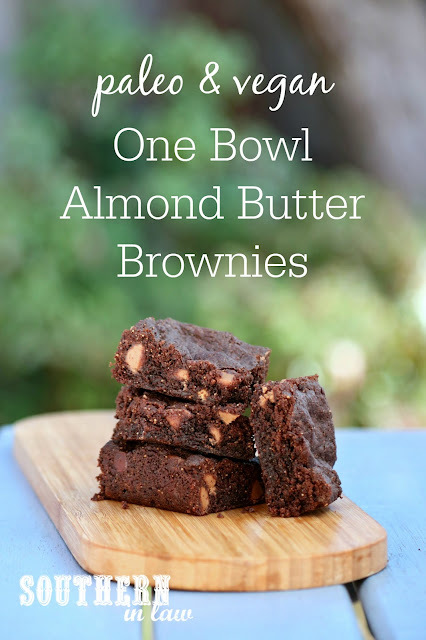 This brownie recipe is gluten free, vegan, paleo, grain free and spectacularly delicious. 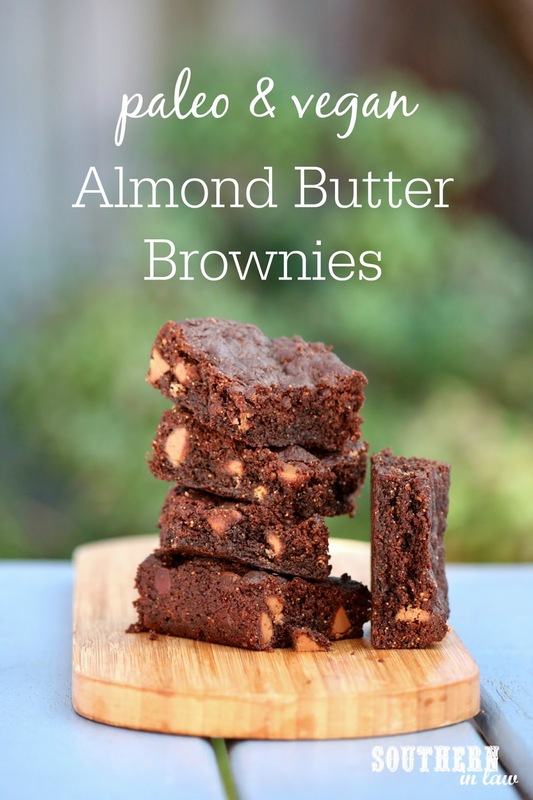 The edges are crunchy and chewy and the middles are soft and gooey - also known as the perfect brownie according to me. The crackly top says it all. When a brownie looks like that, you know it's going to be good. Line an 8" square tin with baking paper and set aside. Place your flax and boiling water in a small bowl, mix to combine and allow to thicken whilst you get your other ingredients. Add all of your ingredients (except the chocolate chips) in a bowl and mix until combined. It will be quite thick at first but it will come together. 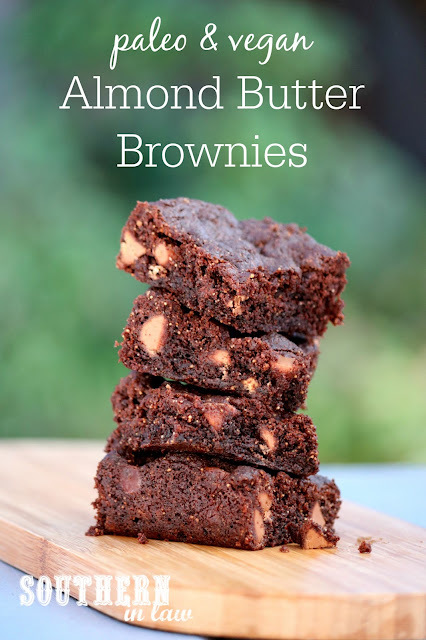 Stir through your chocolate chips and scoop your brownie batter out into your prepared tin. Using wet fingertips or a wet spoon or spatula, smooth your brownie mixture out to form an even layer. Bake your brownies for ~20 minutes or until the edges are crispy and the top looks cracked and set (they will firm as they cool). Remove your brownies from the oven and allow to cool completely before slicing. But tell me, what's your ultimate brownie like? Are you a soft and cakey, gooey or crisp and chewy brownie fan?